Engine Air Filter – This decreases the chance of dirt particles from getting into the engine’s air tank system, causing damage. Breather Element – This will filter the air that the Positive Crankcase Ventilation(PCV) system pulls into the engine crankcase. PCV Crankcase – This system will regulate the crankcase fumes flow going into the intake manifold, ensuring they’re burned and maintain the right crankcase pressure. 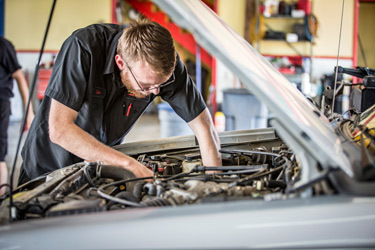 With the 20-point oil change, we take a look at the engine air filtration system parts and will suggest replacements when they become necessary. Did you know that the outside air is actually six times less polluted than your vehicle’s air? Add that to the reality that people tend to be in their cars at least 21 hours every week inside their vehicle. That’s a significant amount of pollution being breathed in. However, vehicle manufacturers have begun installing cabin air filters into their cars.